Successfully Added Portable GSM Desk Phone - 1.75 Inch Display, SMS, 800mAh Removable Battery to your Shopping Cart. A convenient solution for both home and office – the portable GSM desk phone lets you make and receive calls + messages on the go and comes with a handy base that charges the phone once it’s docked. This portable desk phone is a great device to have at home or in your office – as it brings you reliable connectivity, nice design and portability all in one device. The phone looks like your typical desktop phone, yet it does come with a SIM card slot and supports GSM 850/900/1800/1900Mhz. The GSM desk phone is easy and convenient to operate. It has large tactile buttons allowing you to quickly dial the needed numbers. It’s a great option for older folk who might have trouble operating a smartphone, as well as a good backup to have in addition to your primary mobile phone. The desk phone comes with a built-in 800mAh battery and a charging base – simply put the phone on the dock and it will start charging automatically. Simple and quick to charge, the phone won’t need you to roam around for cables and chargers. The wireless GSM desktop phone works with any GSM SIM card – so feel free to choose a network package to your liking. The phone lets you not only make and receive calls, but also messages – so you will be able to sue your SIM card plan to the fullest. 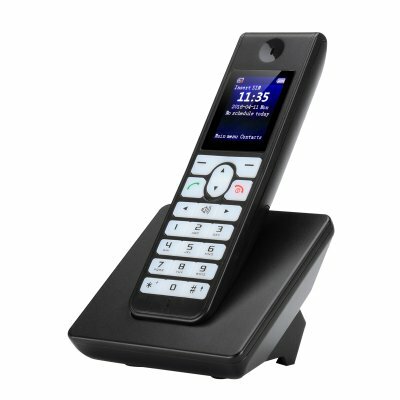 The Portable GSM Desk Phone comes with a 12 months warranty, brought to you by the leader in electronic devices as well as wholesale GSM desk phones..